​It’s been done before; a camel caravan across deserts, mountains, and strange and amusing cultures that welcome you into their homes for a cup of herbal tea- but not since the industrial revolution took over the world. And in our lifetime, we will begin to see one of the longest trains and highways unite the countries that once bridged the world together in trade and language. China is building a new Silk Road. What we’re attempting is to traverse the longest road in history with ten camels in tow. 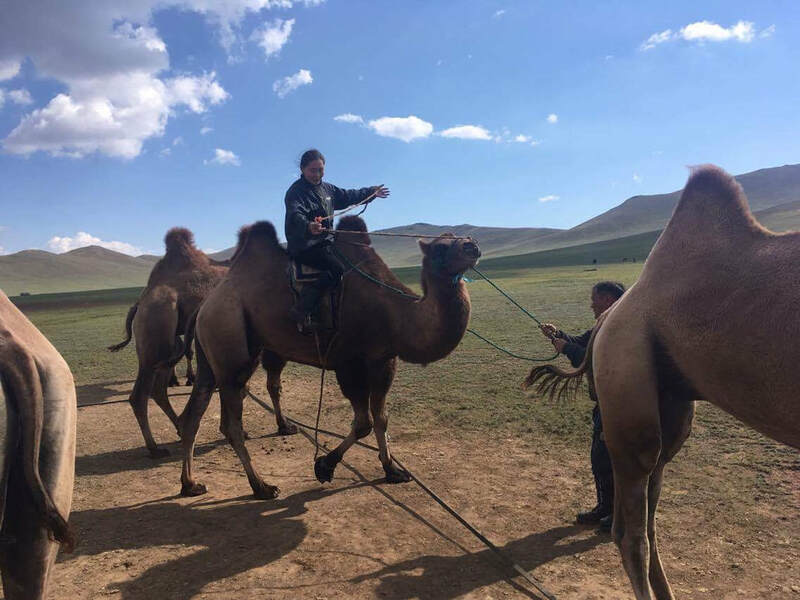 This idea came from a Mongolian woman who met Karl Bushby (enter link) that she has always had the dream of taking camels across the Silk Road. Karl happened to not only like it, he has spent that last two months trying to organize and assemble a team for this crazy adventure. 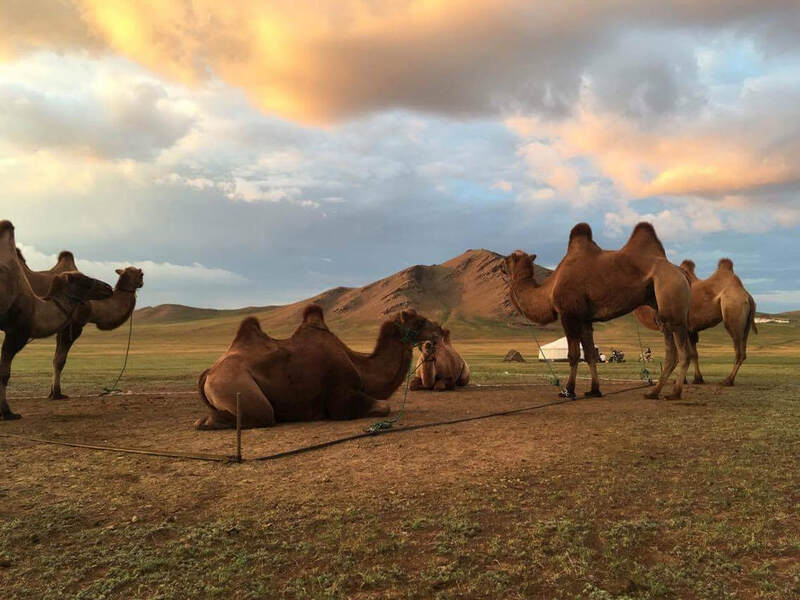 A team of four to six will walk with ten camels along the Silk Road, from Mongolia to Europe with a consistent team of three or four and an “open seat” for two. The consistent team is the people devoted to getting the camels to Europe, which could take up to three years. The open seat is for people who desire to join the expedition for one to three months. My vision, and one that Karl agrees with, is that this should be a women-led trip, more women than men and where we support each other on a challenging yet rewarding adventure where it will naturally inspire other girls and women along the way (through social media and film footage). You can commit to at least a month on the journey. You can potentially walk with the team for 15-20 miles a day (although this will build up and won’t naturally happen over night). We hope to have a camel seat for you as well so riding one of the camels is possible (this is to be confirmed yet as we are currently buying the gear we need for the camels). you must be willing to sign a release form for Westward productions to use footage taken while on the expedition. Westward Productions is Karl Bushby’s Sponsor. The footage taken may be used in the attempt to gain sponsorship for the entirety of the journey (for example; Karl has previously been sponsored by National Geographic to create a two-hour TV special on his world walk). Our walk across Mongolia is a bootstrap attempt, we are all paying our own way and the only thing being paid for by Westward Production is the camels, their equipment, and their food. A woman to join us from the start, ideally from the beginning of September to December, however, we know that committing to three months is a big ask so we’re open to having three different women join for one month of their choosing. Knowing that, if October or November works better for a candidate there will be the added difficulty of catching up with us in the steppes. One will need to hire a local to drive them or catch a bus to the closest village. *Hitchhiking in Mongolia is like grabbing a taxi. If they pick you up they will expect to be paid, they don’t have the same view of hitchhiking as we do in the West. What if I have difficulty keeping up when walking? I’ve never walked 20 miles in a day. We don’t expect it to be easy to walk all the miles. It was just as challenging for the team to get used to it on their own individual walks. And we hope to have saddles for some of the camels so you can ride a camel when/if it becomes too intense. On average, I tend to live on oatmeal with fruit and honey and two-minute noodles, because it’s cheap and easy to find in the villages. I can live on about $5 a day or less but that depends on how you want to eat. Is there any fundraising or non-profit associations? I’m the only one who has a partnership with a non-profit organization, Women for Women, where I share half of all my donations that come through my walk. I will maintain this for my own walk but currently the expedition doesn’t have any partnerships. A way in which I personally want the walk to give-back and support others in need is to have one of the open seats be for individuals who have experienced hardships ranging from fleeing their home country due to war, at-risk teens or handi-capable individuals who long to go on this supported adventure. At this point, we can only make that happen once we have financial sponsorship and that may not happen till 2018. That’s just my own idea and I’ll be working on bringing it to the team members when I arrive in Mongolia. If you’re still interested, email me your answers to these three questions at padmamaxwell@gmail.com as soon as you can. 1. Why are you called to join the expedition? Why do you think you’d be a good fit for the open seat? In other words, tell me about yourself. 2. How long would you like to join the trip? Please give me specific months if possible. (We’re looking at traversing Mongolia from September to December). 3. What questions or concerns do you have?